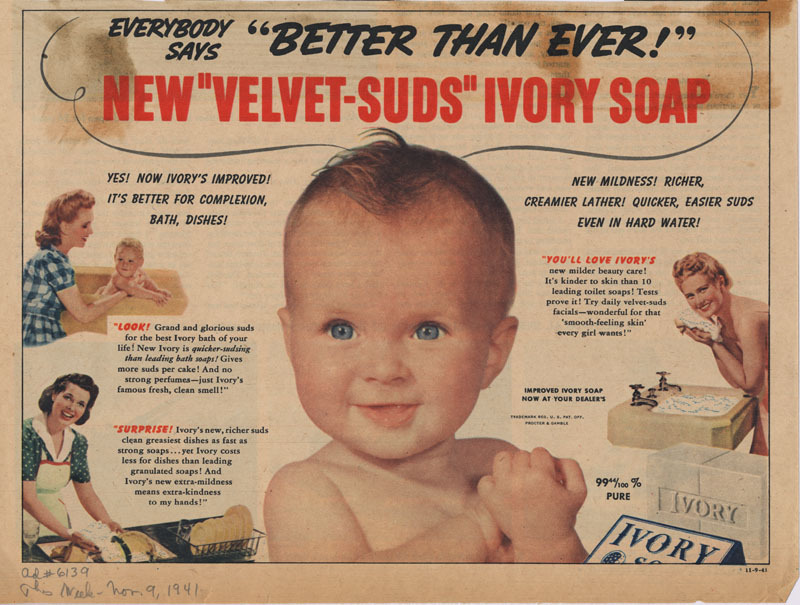 NMAH Archives Center Ivory Soap Advertising Collection 791 No Box No Folder (1941) Caption: "Everybody Says 'Better Than ever!'..." “Everybody Says "Better Than Ever!" 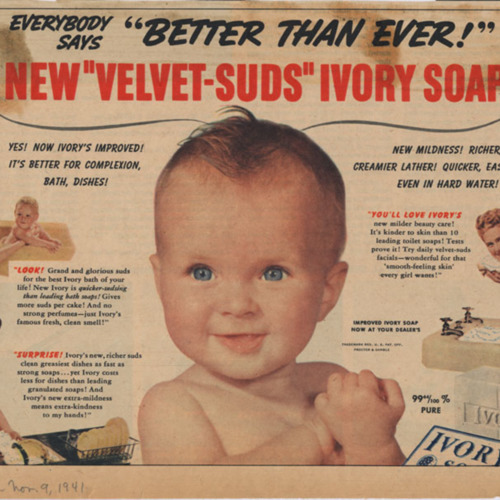 New "Velvet-Suds" Ivory Soap,” Race & Ethnicity in Advertising | America in the 20th Century, accessed April 24, 2019, https://raceandethnicity.org/items/show/923.